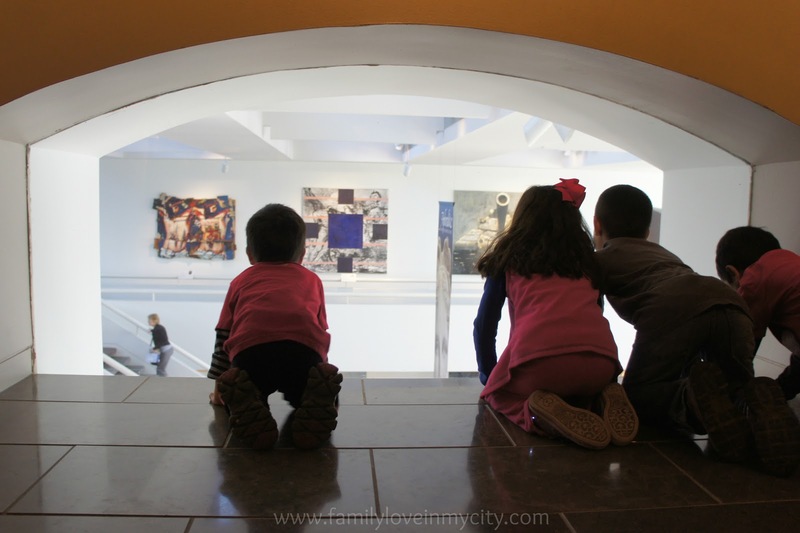 You can take your kids to an art museum! It is do-able and fun and they will whisper and be on their best behavior! Well, I can't promise you that, but I can tell you that they will talk about it for months to come! And you will want to come back for many of SAMA's family events! 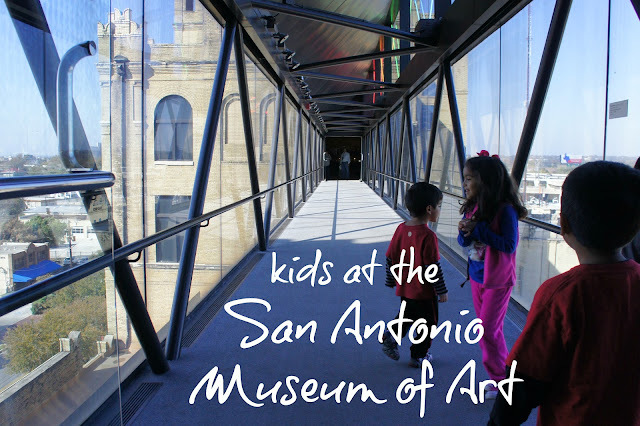 Let them walk on the sky bridge (pictured above) and get to the 2nd floor to get a look at the lobby from up high. Let them see the fish! 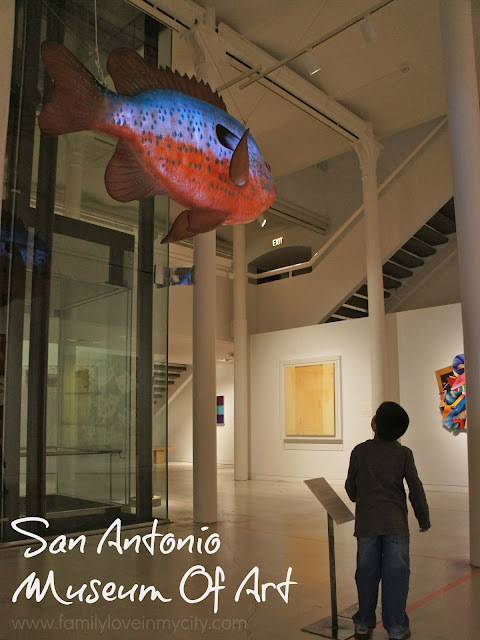 The same fish that are under the highway of the Museum Reach. And don't forget the samurai! 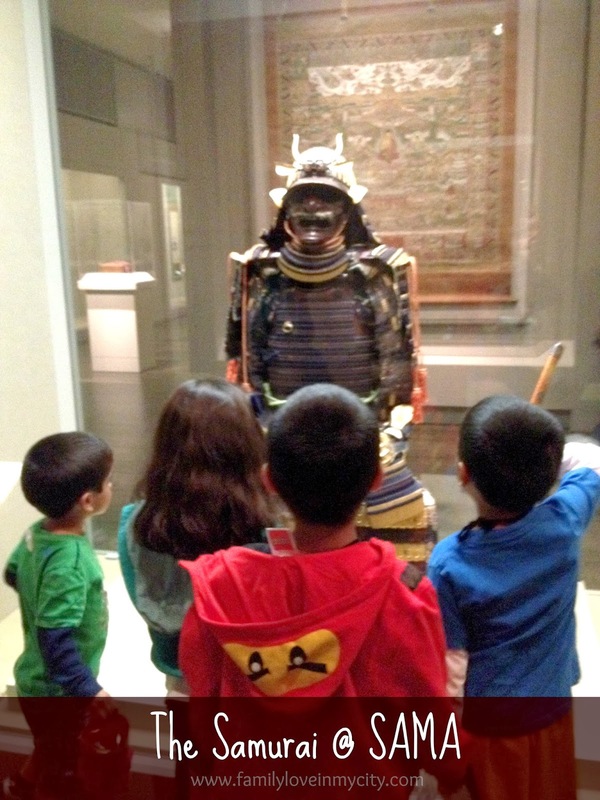 By the way, Saturday May 18th from 10am-9pm, SAMA is giving everyone free admission to celebrate National Art Museum Day!